If you are having issues with child support, or if you need to change the amount of child support because your income has change or such, don’t ignore it. People too often make the mistake of not getting the court to adjust the amount of child support to an appropriate amount – don’t fall victim to this and other common mistakes. Child support is based on the policy that both parents are obliged to financially support their children, even when the children are not living with both parents. Child support includes the financial support of children and not other forms of support, such as emotional support, intellectual support, physical care, or spiritual support. When children live with both parents, courts rarely, if ever direct the parents how to provide financial support for their children. However, when the parents are not together, courts often order one parent to pay the other an amount set as financial support of the child. In such situations, one parent (the obligee) receives child support, and the other parent (the obligor) is ordered to pay child support. The amount of child support may be set on a case-by-case basis or by a formula estimating the amount thought that parents should pay to financially support their children. Child support may be ordered to be paid by one parent to another when one is a non-custodial parent and the other is a custodial parent. Similarly, child support may also be ordered to be paid by one parent to another when both parents are custodial parents (joint or shared custody) and they share the child-raising responsibilities. In some cases, a parent with sole custody of his or her children may even be ordered to pay child support to the non-custodial parent to support the children while they are in the care of that parent. Child support paid by a non-custodial parent or obligor does not absolve the obligor of the responsibility for costs associated with their child staying with the obligor in their home during visitation. For example, if an obligor pays child support to an obligee, this does not mean that the obligee is responsible for food, shelter, furniture, toiletries, clothes, toys or games, or any of the other child expenses directly associated with the child staying with the non-custodial parent or obligor. In most jurisdictions, there is no need for the parents to be married, and only paternity and/or maternity (filiation) need to be demonstrated for a child support obligation to be found by a competent court. Child support may also operate through the principle of estoppel where a de facto parent that is in loco parentis for a sufficient time to establish a permanent parental relationship with the child or children. Canadian courts differ in that the “Divorce Act” sets out in detail, the financial responsibilities of the “Non-Custodial” parent whilst the “Custodial” parent’s responsibilities are not mentioned. Consequently, Canadian courts limit themselves to dividing the “Non-Custodial” parents income and providing it to the “Custodial” parent. While the courts recognize that the child has an “expectation of support from both parents”, there is no legal precedent under the “Divorce Act” indicating that the “Custodial” parent has an obligation to support the child. In addition, courts have vehemently opposed any attempt by “Non-Custodial” parents to ensure “Child Support” is actually used for the child. While the issues of child support and visitation or contact may be decided in the same divorce or paternity settlement, in most jurisdictions the two rights and obligations are completely separate and individually enforceable. Custodial parents may not withhold contact to “punish” a noncustodial parent for failing to pay some or all child support required. Conversely, a noncustodial parent is required to pay child support even if they are partially or fully denied contact with the child. Furthermore, child support is established between parents also if joint custody is awarded, but the child spends most of the time with one of the parents. Additionally, a non-custodial parent is responsible for child support payments even if they do not wish to have a relationship with the child. Courts have maintained that a child’s right to financial support from parents supersedes an adult’s wish not to assume a parenting role. While child support and contact are separate issues, in some jurisdictions, the latter may influence the former. In the United Kingdom, for example, the amount of support ordered may be reduced based on the number of nights per week the child regularly spends at the support giving parent’s home. Support monies collected are often assumed to be used for the child’s expenses, such as food, clothing, and ordinary educational needs, but that is not required. Under California law, for example, child support money may be used to “improve the standard of living of the custodial household” and the recipient does not have to account for how the money is spent. Child support orders may earmark funds for specific items for the child, such as school fees, daycare, and medical expenses. In some cases, obligors parents may pay for these items directly. For example, they may pay tuition fees directly to their child’s school, rather than remitting money for the tuition to the obligee. Orders may also require each parent to assume a percentage of expenses for various needs. For instance, in the U.S. state of Massachusetts, custodial parents are required to pay for the first $100 of annual uninsured medical costs incurred by each child. Only then will the courts consider authorizing child-support money from a non-custodial parent to be used for said costs. Canadian courts provide child support through the “Federal Child Support Guidelines” based on income, however, “Extraordinary Expenses” can be ordered. Many American universities also consider non-custodial parents partially responsible for paying college costs and will consider parents’ income in their financial aid determinations. In certain states, non-custodial parents may be ordered by the court to assist with these expenses. Canadian Universities all have different standards but essentially mimic the provincial standards required for student loan eligibility. While both parents are expected to provide support, “Custodial Parents” are rarely ordered to provide it whilst “Non-Custodial” parents are required to provide it under the law. In the United States, obligors may receive a medical order that requires them to add their children to their health insurance plans. In some states, both parents are responsible for providing medical insurance for the child/children. If both parents possess health coverage, the child may be added to the more beneficial plan, or use one to supplement the other. Children of active or retired members of the U.S. armed forces are also eligible for health coverage as military dependents and may be enrolled in the DEERS program at no cost to the obligor. Accountability regulations for child support money vary by country and state. In some jurisdictions, such as Australia, child support recipients are trusted to use support payments in the best interest of the child and thus are not required to provide details on specific purchases. In California, there is no limitations, accountability, or other restriction on how the obligee spends the child support received, it is merely presumed that the money is spent on the child. However, in other jurisdictions, a child support recipient might legally be required to give specific details on how child support money is spent at the request of the court or the non-custodial parent. In the United States, 10 states (Colorado, Delaware, Florida, Indiana, Louisiana, Missouri, Nebraska, Oklahoma, Oregon, and Washington) allow courts to demand an accounting of expenses and spending from custodial parents. Additionally, Alabama courts have authorized such accounting under certain specific circumstances. Child support laws and regulations vary around the world. Legal intervention is not mandatory: some parents have informal or voluntary agreements or arrangements that do not involve the courts, where financial child support and/or other expenses are provided to the other parent to assist in supporting their child(ren). A voluntary maintenance arrangement can in certain jurisdictions be approved by judicial authorities. A major impetus to the collection of child support in many places is the recovery of welfare expenditure. A resident or custodial parent receiving public assistance, as in the United States, is required to assign his or her right to child support to the Department of Welfare before cash assistance is received. Another common requirement of welfare benefits in some jurisdictions is that a custodial parent must pursue child support from the non-custodial parent. In divorce cases, child support payments may be determined as part of the divorce settlement, along with other issues, such as alimony, custody, and visitation. In other cases, there are several steps that must be undertaken to receive court-ordered child support. Some parents anticipating that they will receive child support may hire lawyers to oversee their child support cases for them; others may file their own applications in their local courthouses. While procedures vary by jurisdiction, the process of filing a motion for court-ordered child support typically has several basic steps. One parent, or his or her attorney, must appear at the local magistrate or courthouse to file an application or complaint about the establishment of child support. The information required varies by jurisdiction but generally collects identifying data about both parents and the child(ren) involved in the case, including their names, social security or tax identification numbers and dates of birth. Parents may also be required to furnish details relating to their marriage and divorce, if applicable, as well as documents certifying the identity and parentage of the child(ren). Local jurisdictions may charge fees for filing such applications, however, if the filing parent is receiving any sort of public assistance, these fees may be waived. The other parent is located and served a court summons by a local sheriff, police officer, bailiff or process server. The summons informs the other parent that they are being sued for child support. Once served, the other parent must attend a mandatory court hearing to determine if they are responsible for child support payments. In cases where parentage of a child is denied, has not been established by marriage or is not listed on the birth certificate, or where paternity fraud is suspected, courts may order or require the establishment of paternity. Paternity may be established voluntarily if the father signs an affidavit or may be proven through DNA testing in contested cases. Once the identity of the father is confirmed through DNA testing, the child’s birth certificate may be amended to include the father’s name. After the responsibility for child support is established and questions of paternity have been answered to the court’s satisfaction, the court will notify the obligor and order that parent to make timely child support payments, fees (which may be 0, $60, or more) and establish any other provisions, such as medical orders. Generally, the father will be required to pay for genetic testing. Various approaches to calculating the amount of child support award payments exist. Many jurisdictions consider multiple sources of information when determining support, taking into account the income of the parents, the number, and ages of children living in the home, basic living expenses and school fees. If the child has special needs, such as treatment for a serious illness or disability, these costs may also be taken into consideration. Guidelines for support orders may be based on laws that require obligors to pay a flat percentage of their annual income toward their children’s expenses. Often two approaches are combined. In the United Kingdom, for instance, there are four basic rates of child support based on the obligors’ income, which is then modified and adjusted based on several factors. In the United States, the federal government requires all states to have guideline calculations. Guidelines are either a percentage of income or more usually in the form of tables listing incomes and the amount needed to support one to six children. These computations are often performed by computer programs upon input of certain financial information including, earnings, visitation (overnights with the non-custodial parent (NCP)), health insurance costs, and several other factors. If tables are used in the guidelines those tables are computed by economists such as Policy Studies, Inc. They examine spending patterns of couples without children and couples with children in the consumer expenditure survey. The amount of additional money spent on the children (for expenses such as automobile insurance; AP exams; cell phones and plans; Christmas presents; educational expenses (trips, pictures, study guides, tutoring, AP and SAT exams, books, supplies, and uniforms); laptops; music lessons; parking fees; private school tuition; sports activities; and summer camps is computed and reduced to a table. Separating parents then find their incomes in the table and how much average intact families pay on children. In the widely used income shares model that amount is divided in proportion to the parent’s income. Once established, child support orders typically remain static unless otherwise reviewed. Obligors and obligees reserve the right to request a court review for modification (typically six months to one year or more after the issuance of the order or if the circumstances have changed such that the child support would change significantly). For instance, if the obligor has a change in income or faces financial hardship, they may petition the court for a reduction in support payments. Examples of financial hardship include supporting other children, unemployment, extraordinary health care expenses, etc. Likewise, if the obligor is spending more time with the child, they may petition the court for a reduction or even a reversal in support payments. Conversely, if the child’s expenses increase, the obligee may ask the court to increase payments to cover the new costs. Although both parents have the right to petition the court for a support order adjustment, modifications are not automatic, and a judge may decide not to alter the amount of support after hearing the facts of the case. That is to say, simply because an obligors’ income has decreased, a court may find that the decrease in income is no fault of the child, and will not decrease the child’s expenses, and therefore should not affect him or her financially. Likewise, a court may find that an increase in the child’s expenses may have been calculated by the receiving parent and is not necessary, and therefore the support obligation of the paying parent should not increase. automatically triggers a non-expiring lien whenever child support becomes past-due. overrides any state’s statute of limitations. disallows any judicial discretion, even from bankruptcy judges. requires that the payment amounts be maintained without regard for the physical capability of the person owing child support (the obligor) to promptly document changed circumstances or regard for his awareness of the need to make the notification. Child support payments are distributed in a variety of ways. In cases where an obligor is liable for specific expenses such as school tuition, they may pay them directly instead of through the obligee. In some jurisdictions, obligors (paying parents) are required to remit their payments to the governing federal or state child support enforcement agency. The payments are recorded, any portion required to reimburse the government is subtracted, and then the remainder is passed on to the obligee (receiving parent), either through direct deposit or checks. The first payee for child support depends on the current welfare status of the payee. For example, if the obligee is currently receiving a monthly check from the government, all current support collected during the said month is paid to the government to reimburse the monies paid to the obligee. Regarding families formerly on assistance, current support is paid to the family first, and only after said support is received, the government may then collect additional payments to reimburse itself for previously paid assistance to the obligee (receiving parent). See 42 USC 657: “(A) Current Support Payments: To the extent that the amount so collected does not exceed the amount required to be paid to the family for the month in which collected, the State shall distribute the amount so collected to the family.”. Within the United States, a 2007 study conducted by the University of Baltimore estimates that 50% of all child support arrears are owed to the government to reimburse welfare expenses. Half of U.S. states pass along none of the child support they collect to low-income families receiving welfare and other assistance, instead of reimbursing themselves and the federal government. Most of the rest only pass along $50.00 per month. The bipartisan 2006 Deficit Reduction Act and other measures have sought to reduce the amount of money claimed by the government and to ensure that more funds are accessible by children and families, noting that more obligors (paying parents) are willing to pay child support when their children directly benefit from payments. Most U.S. states deliver child support benefits through direct deposit, but many states make payments to recipients who do not have a bank account through a prepaid debit card. State use of prepaid cards has helped increase the popularity of federal benefit debit cards, such as the Direct Express Debit MasterCard prepaid debit card offered by MasterCard, Visa, Chase, and Comerica Bank. The duration of support orders varies both by jurisdiction and by case. Requirements for support typically end when the child reaches the age of majority, which may range in age from 16 to 23 (Massachusetts and Hawaii) or graduates from high school. Some countries and states have provisions that allow support to continue past the age of majority if the child is enrolled as a full-time, degree-seeking post-secondary student. If the obligor owes back child support, they must continue to make payments until the debt is satisfied, regardless of the age of the child. Several circumstances exist which allow for the termination of a support order for a child under the age of majority. These include the child’s marriage, legal emancipation or death. In respect to child support obligations, a deadbeat parent is one who has refused to provide child support payments or expenses. US Governmental child support agencies typically refer to clients as being in compliance, not in compliance or criminally non-compliant. Compliance is judged by the paying party’s performance in meeting the financial terms of the legal child support court order. In some circumstances, obligors found “not in compliance” or “criminally non-compliant” have even had their professional (e.g. doctors, lawyers, dentists, etc.) and other (e.g. driver’s) licenses suspended or revoked in an effort to collect monies for support and shared expenses. While the US has an extremely negotiable system, Canadian laws are fairly automatic and “No-Fault”. Child support is determined by the number of children and the obligor’s income. Regulations and laws on the enforcement of child support orders vary by country and state. In some jurisdictions, such as Australia, enforcement is overseen by a national office. In others, such as Canada, the responsibility to enforce child support orders rests with individual provinces, with financial and logistical assistance from the federal government. In the United States child support enforcement is also handled largely at the state level, but non-compliant parents who meet certain criteria, such as traveling across state lines to circumvent orders or owing more than two years of support payments, may be subjected to federal prosecution under the Federal Deadbeat Punishment Act. One focus of Article 27 of the Declaration of the Rights of the Child is the establishment and strengthening of international treaties to further aid in child support order enforcement across national and international boundaries. Under these agreements, orders established in one country are considered valid and enforceable in another country and may be pursued through local court processes. The goal of such conventions is to ensure that noncompliant parents will not be able to evade support payments by crossing an international border. To this end, various international conventions regarding interjurisdictional enforcement of maintenance orders have been created, including the 1956 United Nations Convention on the Recovery Abroad of Maintenance, the Hague Conference’s 1973 Convention on the Recognition and Enforcement of Decisions relating to Maintenance Obligations and the 1956 United Nations Convention on the Recovery Abroad of Maintenance and the 2007 Hague Maintenance Convention. More than 100 nations currently have reciprocal arrangements for child support orders. Examples of reciprocal agreements include the UK Reciprocal Enforcement of Maintenance Orders (REMO) and those of Canada, Australia and New Zealand, the United States and the European Union. Consequences of non-payment vary by jurisdiction, the length of time the parent has been noncompliant, and the amount owed. Typical penalties include wage garnishment and denial or suspension of drivers, hunting, and professional licenses. In the United States, noncompliant parents who are more than $2500 in arrears may be denied passports under the Passport Denial Program. Australia, Austria, and Finland do not imprison persons for failure to pay child support arrears. In the U.S., in contrast, non-payment of child support may be treated as a criminal offense or a civil offense, and it can result in a prison or jail term. In New York, continuous failure to provide child support is an E felony punishable by up to 4 years in prison. 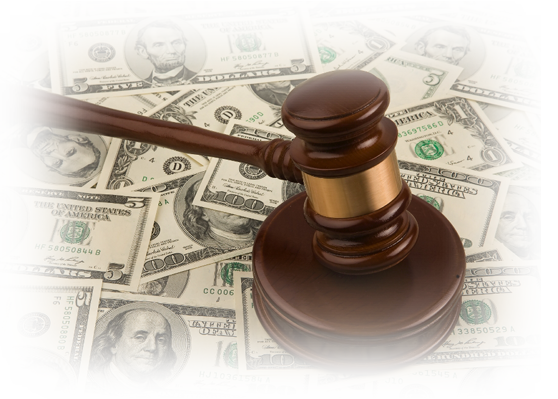 In addition, child-support debtors are subject to fines and property seizure. Children First Always is a program provided by the America Family Law Center, a 501(c)(3) nonprofit charitable organization. This site is for general informational purposes only. The information on this site is not legal advice and should not be used in place of legal advice. Consult a lawyer for legal advice.